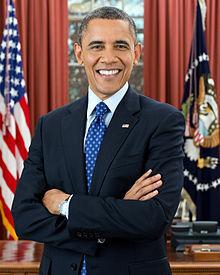 I just listened to the NSA speech by President Obama and as expected there is precious little in terms of real change. For civil libertarians, it is a nothing burger served hot and with a sympathetic smile. It is much of the same. Another review board composed of government officials. Another promise for the Executive Branch to review itself. I am in Salt Lake City today on the Sister Wives case, but I am struck by the absence of civil libertarians on the coverage by the networks. I will have to run to court but I was underwhelmed. It seemed like another attempt to reinvent privacy in a new surveillance friendly image. As I tweeted earlier, it was rather unpersuasive to hear Obama say that he was always intended to force reforms and that Snowden was merely a coincidence. If you step back, you will note that the programs will continue and the intelligence community will retain its authority with little outside independent limits. The speech had the feel of a car salesman coming back from “speaking with the manager” and saying that he is able to offer a deal that no one likes but he wants to offer because he likes the customer. Of course, this “deal” does not require our consent. The Paul Revere reference at the beginning seemed to set the less than honest approach of the speech. Revere and the Sons of Liberty were watching public movement of an enemy at war. Likewise, Obama again references “court” review of the metadata as if it were a true court applying real probable cause. FISC has been widely ridiculed as a rubber-stamp for the government. The Court is given a standard that is hard for the government not to satisfy with even the most casual filings. In the end, it was in my view more spin than substance from the President. Penalties for infractions have cost big manufacturers hundreds of millions of dollars – perhaps another reason why the meds they prepare are so expensive. In this type of pharmacies, doctors prepare the medicines by mixing different ingredients. easy for us to cure our ailments. Pingback: Obama Speech on NSA Reforms a Sad Joke, 4th Amendment Destruction Now Sealed With Presidential Approval | Alternative News Alert! Americans only know some of “what’s going on.” There’s more. “Edward Snowden will be answering questions submitted by the public on his official support site, freesnowden.is, this Thursday 23 January at 8pm GMT, 3pm EST. The support site is run by The Courage Foundation and is the only endorsed Snowden Defence Fund. The live chat comes exactly a week after US President Barack Obama gave an address in response to the public concerns raised by Edward Snowden’s revelations about US surveillance practices. In the live chat, Edward Snowden is expected to give his first reaction to the President’s speech. The board’s conclusion goes further than President Obama, who said in a speech Friday that he thought the NSA’s database of records should be moved out of government hands but did not call for an outright halt to the program. The board had shared its conclusions with Obama in the days leading up to his speech. The divided panel also concluded that the program raises serious threats to civil liberties, has shown limited value in countering terrorism and is not sustainable from a policy perspective. The report is bound to spur further debate in an already charged environment in which many lawmakers are divided about the program’s value and legality. Two federal judges have issued conflicting opinions on the program’s constitutionality.